Jamie and the Highlanders attempt to rescue Claire from Black Jack Randall. 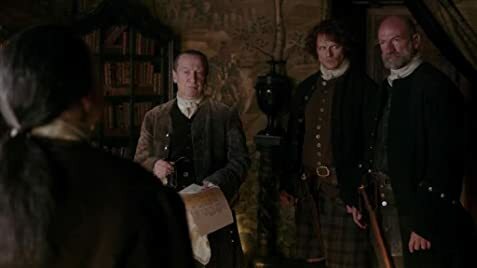 Dougal MacKenzie: [to Colum] We raised that gold honorably. We never concealed the fact from anybody that we were raising money to restore the rightful king to his throne. That, I might remind you, is a cause more important than any clan. Or man. Superb, worth every minute of the 6 months wait. The acting, storyline, Scotland, musical score exceeded any imagined expectations. And of course, Sam and Cait were outstanding, their acting, dialog, so passionate, it tore my guts out. Sam Heughan is so handsome from every camera angle, it takes my breath away to look at him. His acting is so fierce, so passionate, it is palpable. You can reach out and touch it. Catriona Balfe is stunning and equally as fierce confronting Jamie. Mctavish and Lewis, the brothers Mackenzie, another great performance: the acting so much in the EYES, the stares, the glares! 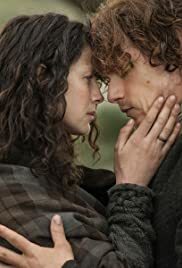 The writers have paid a real homage to the brilliant writing of Diana Galbadon, I recommend Outlander to anyone who wants to be transported to another time and be infused with a culture, language, the kilt, the history - a time that is portrayed with such poignancy that makes one want to go through the stones. Yearn for a time of such romance and passion for love and causes.